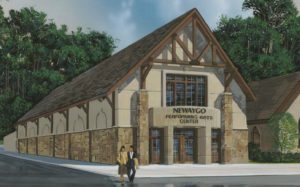 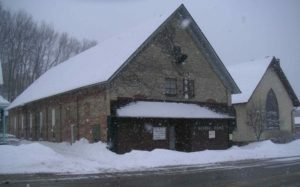 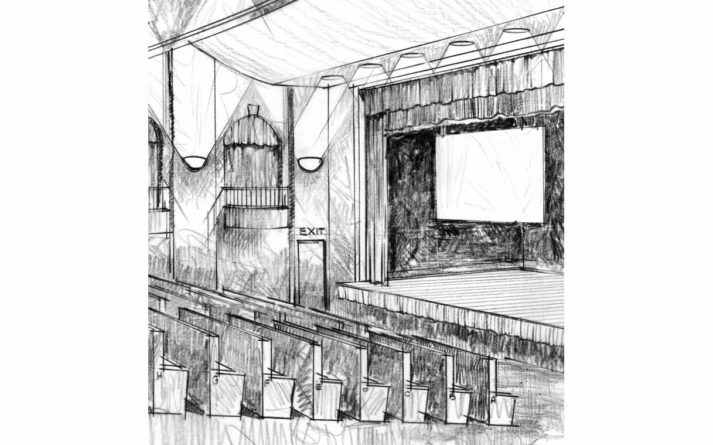 Newaygo Performing Arts Theater – Sidock Group Inc.
Sidock Group performed a feasibility study to investigate the possibility of converting the late 1800s brick structure into a Community Performing Arts Theater containing all traditional theater components. This project is part of a larger master plan for upgrading several community institutions including the Area District Library, and County Historical Museum, both of which are being undertaken by Sidock. 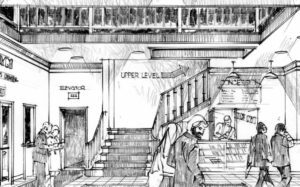 As such, the projects are all being designed with a “Campus” mentality. 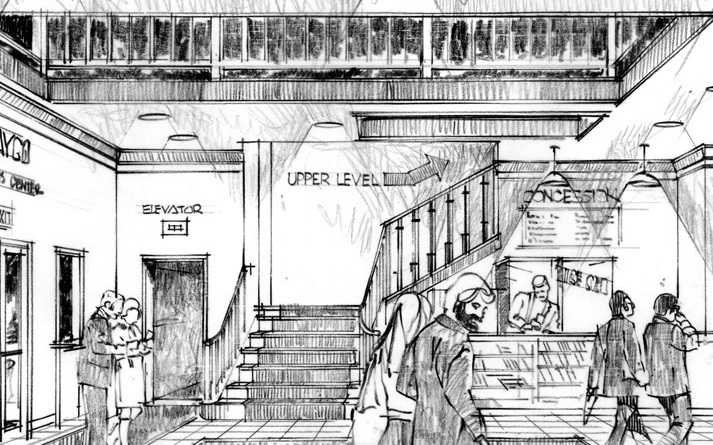 As part of the project, Sidock performed schematic design, and produced several presentation renderings for use in promoting the project.